We have highly trained and specialized engineers that know specific equipment and their processes. At Productivity, we understand that capital equipment projects can be complex. That’s why even before you purchase a machine tool from Productivity our sales team and Applications Engineering experts work together to fully comprehend your unique needs to present you with a customized robotics engineering program to solve challenges and expand opportunities. We have precise experience in production-ready process design and optimization and our highly specialized engineers use their array of industry experience to provide you with the solution to fit your exact needs. As a single-source supplier, we also have access to all products and services necessary to get the job done in-house. Many suppliers boast that they have turnkey engineering, but few can actually follow through on established goals. At Productivity, we do it right. Productivity’s turnkey production engineering services create a seamless synergy between our project engineers and cross-functional teams within your company for a strong back-and-forth, real-time communication channel. Our engineering team approaches new challenges with an open mind as well as the experience built from working on thousands of projects. All within the agreed-upon timelines. A turnkey partnership with Productivity can simplify your processes, help you save on manufacturing costs, solve difficult production issues, increase speed to market and help you expand your capabilities into new product areas without investing in added equipment or staff expertise. For less complex or partial turnkeys, Productivity will quote and provide services based on agreed-upon guidelines. Production assistance typically does not involve SPC or capability studies. We work in partnership with your organization to determine the best method, tools, machine and implement best practices to get that machine up and running as quickly as possible. For more information on Productivity’s production assistance services or to get a quote, contact us now. Regardless of where you purchase your machine tool, consider Productivity’s proven applications engineering services. Our engineering project management service is also available on an hourly, daily and weekly basis, depending on your needs. Contact your Productivity sales representative for more information. With any machine tool purchase, Productivity offers more than 150 annual formal classes. This training gives your operators hands-on experience with your new machine to reduce the learning curve and allow you to implement your new equipment more quickly and efficiently. To view some of our training classes, click here. Productivity also offers customized training for special applications needs. Is your project done, but you still need help? Productivity provides ongoing applications assistance as well. 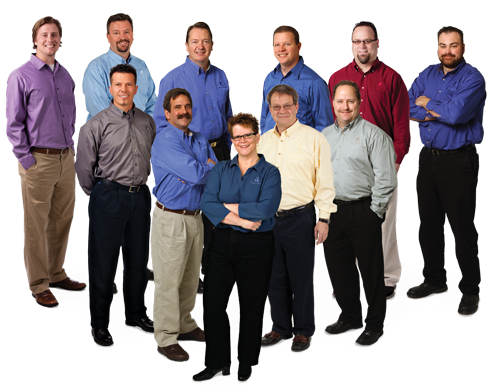 Our application engineers are machining and automation specialists experienced in tooling, programming and fixturing. They can provide extensive after sale support. For more information on Productivity’s training and after-market support services, contact us now. Why use Productivity Engineering Services? To view printable version, click here. We can bring you to market more quickly and lower your overall costs. Turnkey production engineering services can guarantee cycle times, production and throughput rates. We meet or exceed our delivery deadlines and we can prove it. We allow you to add expert external resources to project without adding ongoing operating costs. Refining processes leads to a lower cost solution. A single source of responsibility guarantees a smooth and cohesive process to meet time and cost requirements. Allow your employees to focus on their areas of expertise and core business with our turnkey services. We deliver a more concentrated focus so you can avoid increased project costs and stick to deadlines. When you produce more parts, reduce cost per part, reduce labor hours and get your product to market more quickly, you can expect a better return on investment than if you’d kept project management in-house. Once your project budget is approved, engineering keeps an ongoing cost report and verifies real hours against budgeted hours to ensure your project stays on track. Best of all? Productivity assumes all responsibility related to process. We sell and manage a wide range of machine tools. Our highly specialized engineers provide your organization instant access to expertise that reduces or eliminates the need to educate and train someone in-house. Productivity will train operators on new processes and machines so you’re up and running in no time.